At MyDomaine HQ, we're all about celebrating and empowering women no matter what the occasion. But on International Women's Day, we feel it our duty to formally champion the accomplishments of our sisters from all across the world—and we want you to join us. Together with our sister sites WhoWhatWear, Byrdie, and Obsessee, we invite you to an Instagram-wide celebration of female empowerment. To join, nominate the woman who inspires you using the #WeAreWomen hashtag and tagging them across Instagram. If you've been nominated yourself, pay it forward by tagging someone who's inspired you, whether it be a friend, partner, colleague, or family member. "As an entrepreneur, it’s critical to me that our business supports and empowers women," says MyDomaine's co-founder Hillary Kerr. "On March 8th, that means we will proudly support International Women’s Day to recognize the achievements and contributions of women. 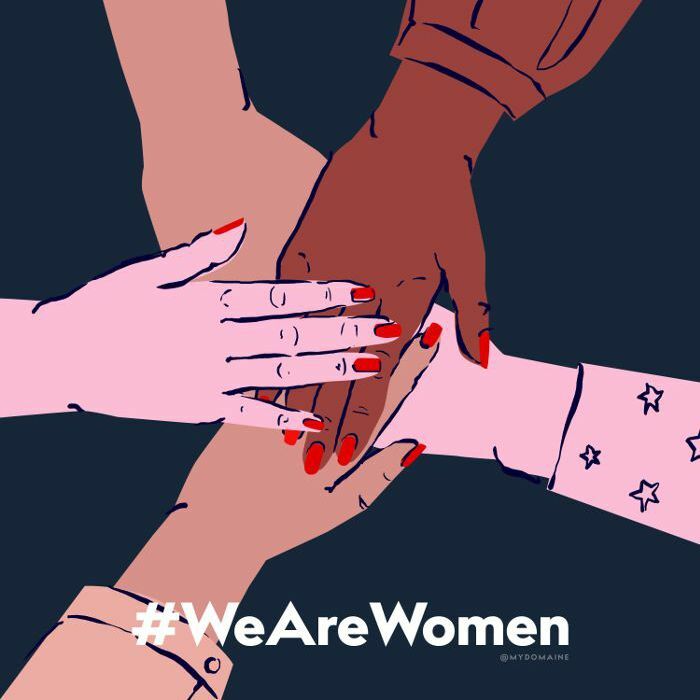 I hope that with our #WeAreWomen campaign, our efforts will remind the world that women are stronger together and demand that our voices are heard." How are you celebrating International Women's Day? Share your plans below, and re-post the above graphic on your own social media accounts along with the hashtag #WeAreWomen!